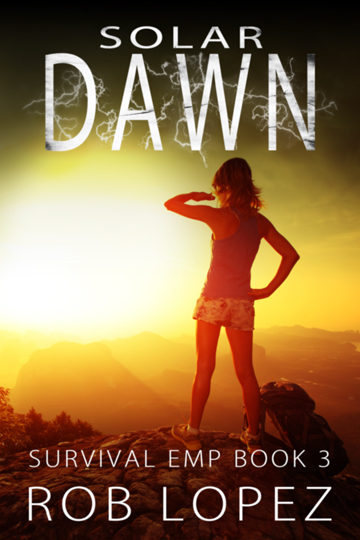 Solar Dawn, the third book in the Survival EMP series, is now available on pre-order for just 99c at Amazon and Amazon UK. The book goes live on December 12, 2018, after which the price goes up to $2.99. Since Amazon doesn't provide the 'read inside' function during the period of the pre-order, I have pasted the first chapter below for you to sample. The storm has ended, winter is over and a new dawn will rise in American history. It may not be the bright future many hoped for. Rick’s family and friends have survived the predations of raiders and the ravages of winter. Now they have to leave the radioactive city of Charlotte, striking out for the mountains. Following in the wake of previous refugees, they encounter a land picked clean of resources, with embattled settlements hostile to strangers and gangs dominating the areas in between. Apparently, some place called France won the World Cup yesterday. The English went home rather displeased. Can't say I've been keeping up, to be honest, though I have been gripped by the Thai Cave Rescue, which really did show humanity at its best. But these are all distractions from the job in hand, which in this case happens to be Solar Dawn, the third book in the Survival EMP series. 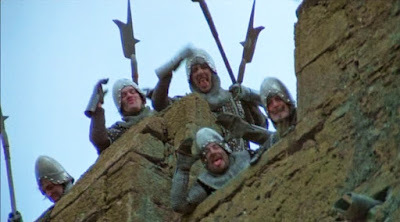 It contains neither knights, soccer nor shrubberies. And it's not finished yet. 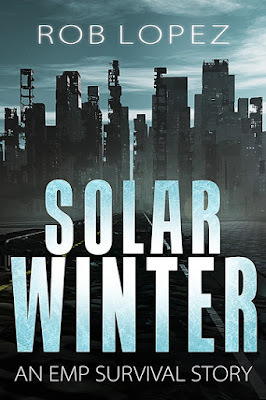 Solar Winter, the second book in the Survival EMP series, is now available on pre-order for just 99c at Amazon and Amazon UK. The book goes live on March 20th. How do you survive when you haven’t prepared? The solar storm has all but destroyed American society, and the survivors are left picking over the ruins. Rick’s family and friends face a bleak future. Winter’s coming, and with it the greatest test they’ve ever had to face together. With no supplies, and nowhere safe to bug out to, they’re starting from zero. Forgotten skills have to be relearned, and improvised solutions are needed just to stay alive. But time is running out. With each passing week come troubling signs of a more immediate threat than hunger. Dangerous foes lurk nearby, and Rick’s tiny group cannot stay hidden forever. Ready or not, the time will come when they have to fight. Or be annihilated.